Sometimes you get lucky and the beauty of nature pops up in your own backyard. 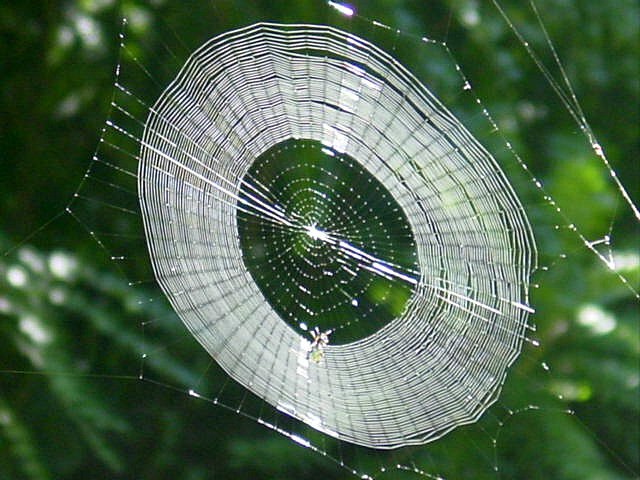 pattern being spun by a spider. I grabbed my digital camera and captured this wonder in the making. Any Local Filmmakers Out There? Today, I came across this site TurnHere that is asking filmmakers to send them a 90-second video about a place – a neighborhood, a landmark, a bar, a street or trail . If they like your video they will put it up on the site. You will also be on their talent roster when they commission new projects this fall. The downside is the deadline is August 15, a week from today. Best submission will win $1,000. Know of any local or aspiring filmmaker that might be interested in doing a video about the Katonah area? Here is one video done about Poughkeepsie, NY. that is posted at Turnhere.